It’s a modern truism that there’s no such thing as digital transformation―only business transformation in the digital age. But one technological factor is common no matter which terminology you prefer: Making the right use of the cloud for your organisation is essential. There are several factors to consider before deciding how to adopt cloud services that fit your business. Intel has a history of working with IT leaders to help organisations make the right technology choices―tailored to their specific requirements, from a vendor-neutral perspective. “A conversation shouldn’t start with IT transformation but with business transformation―what the business imperatives are, whether it’s breaking into new markets, new competition or attracting new talent. The question is what IT can do to support and be an enabler of business,” says Chris Feltham, cloud solutions sales manager at Intel. It is even possible that cloud might not be the right fit. “There is a perception that cloud is cheap, but there are misunderstandings about the cost of pulling data in and out of the cloud,” he adds. Intel can help organisations by sharing its own cloud model to help stimulate ideas and structure plans. Intel focused on the right infrastructure to devaluate more than 3,500 applications developed internally, looking at factors such as how many are still required, how many are at end of life, and how many are commodities that could be bought off the shelf and thereby free up developers’ time. IT leaders can adopt a similar approach to evaluate the best way forward. “Look at your remaining applications―if they are very connected to internal systems or are strategically important, you may want to keep the crown jewels close and not push them out to the cloud,” says Feltham. Finding the best architectural fit helps organisations avoid the risk of moving to the cloud and later regretting it. It is critical to assess data requirements and gain a view of a workload’s suitability for cloud. Categorise workloads by the four key vectors of data volume, integration, security and performance. For example, large volumes of relatively static data in the cloud can reduce costs. But if data requires intense processing and real-time analysis―for example, performance readings at a manufacturing plant or high-definition video for live relay at a sports event―then moving data into the cloud could be counterproductive. The Intel Builders programme helps IT leaders optimise their infrastructure to drive data innovation, reliability and performance. “If an organisation is looking to deploy a workload, we can advise on the best configuration, whether it’s cloud, on premises or a combination,” says Feltham. Every organisation will have different requirements and skill sets to feed into its choice of infrastructure, but it is imperative to take the time to get to grips with the four vectors to help make the right decision. “Integration is key. If you move outside the firewall and the effort involved in maintaining connectivity with internal systems outweighs the benefit of cloud, then it should be avoided,” says Feltham. New technologies such as AI and machine learning may be suited to experimentation in the cloud, or if an organisation does not have in-house skills, it may want to adopt a service from the cloud. But the important thing is to know what problem you are trying to solve. “Cloud is a good place for flexibility and exploration, but you need to understand the question you are trying to answer,” says Feltham. It is unlikely that all workloads will move to the cloud, and the new infrastructure and services must be managed on and off premises. Intel’s guidelines on cloud considerations can provide vital support in making the right decisions. It is critical that IT leaders ask searching questions of any potential cloud service provider to determine what infrastructure is running the organisation’s specific workloads, applications and overall business. It is a matter of due diligence: There is a choice, and customers need to be aware of that to ensure they are making the right decision. 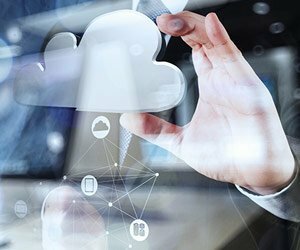 Working closely with a cloud service provider is vital to make sure the supplier is providing its services on appropriate infrastructure to meet the demand. “Each organisation will go on a unique journey to the cloud, and all cloud is not the same,” Feltham notes. A misguided rush to cloud risks missing the critical fact that there are vast differences in performance and infrastructure, which Feltham says can be abstract and hard to figure out. This vital step can easily be ignored, as the infrastructure is not physically on premises. But, just as someone would not buy a car without knowing the engine specifications and condition, the customer should ask pertinent questions.